I've just spent the past week in bed getting over a nasty flu-like virus which has wiped out almost all my energy. I've been in bed sleeping most of the week and in between naps have been reading and watching a few films. 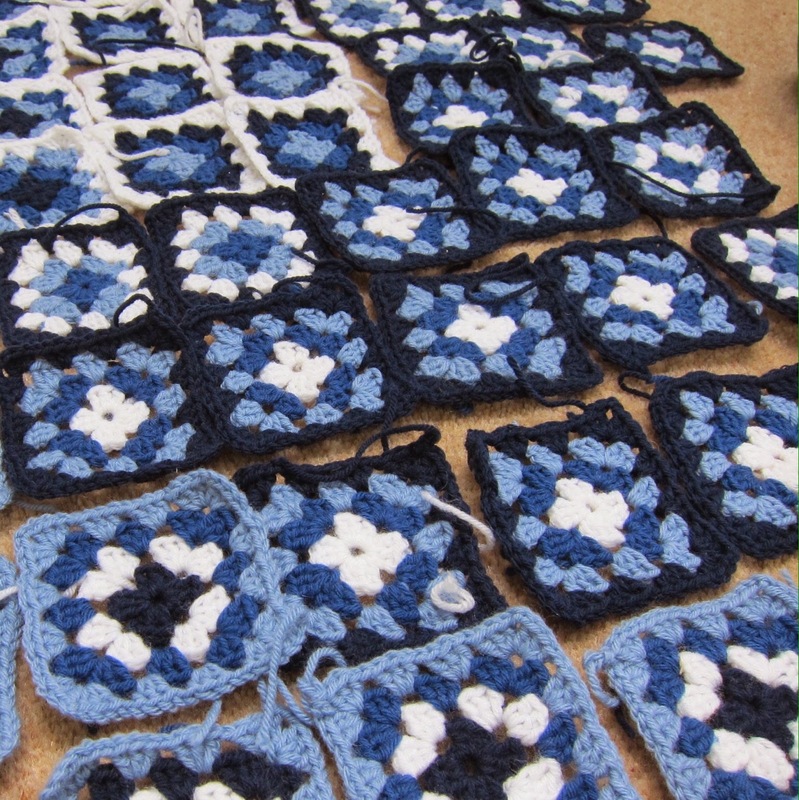 It took until late Thursday to feel that I may fancy a bit of hooky time and crochet a granny square or two, it was bliss but I felt pretty tired after about an hour. I'm feeling less exhausted today and feeling a bit more of myself but think I'm going to have to take things a little slower than normal for a while! As someone who usually juggles quite a few things, I've spent the past week and a half learning to really slow down and take my time over things and have tried to listen to my body. It's been great to slow down and take time over a few things but also frustrating too. On a rainy day like today I love reading the posts written by these UK based bloggers, they share such gorgeous projects and updates on their lives. I've been reading Attic24 from early 2011, Lucy's projects and writing style inspired me to become a blogger and to learn crochet! I can also say the same about Vanessa's blog Coco Rose Diaries, I saw her gorgeous photography, crafty projects and just love her updates on life. I've been reading Cherry Heart for probably about a year and a half now and really enjoy Sandra's projects and the pastel colour palette she uses. I hope you get inspired to pick up a crochet hook and start or bookmark or follow these fab blogs. I'm hoping to spent the rest of the day settled on the sofa with a cup of de-caf tea (since feeling unwell I've not enjoyed normal tea as it feels a bit too full of caffeine) and carry on with my ripple blanket today after a two week break. I can't wait!